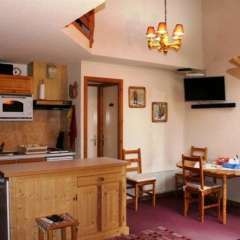 This brigh apartment is situated on the 3rd floor of the “La Moussière” residence in the ski resort of la Grande Terche, part of the Portes du Soleil skiing domain. The apartment has a spacious entrance hall, with plenty of room for coats, bags and shoes, as well as a large fitted cupboard for linen, towel, clothes, ski gear etc. If desired, this large cupboard could be replaced with bunk beds, whilst still leaving plenty of storage in a second cupboard and hallway. The main living area is very bright, thanks to its dual aspect. There is a modern fitted kitchen with sink, fridge, full sized oven and hob, and dishwasher to take the strain out of doing the dishes! There is space for a dining table and chairs, plus two sofas (one of which folds out to a sofa bed). French windows open out on to the super balcony. 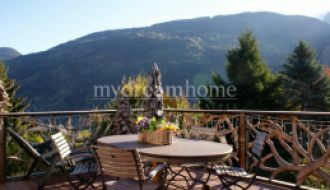 The views are lovely, and the sunny west-facing aspect in particular is a wonderful spot to enjoy an apéritif in the sun at the end of the day. The views to the north look over the Aulps valley and are simply wonderful! These views can also be enjoyed from the kitchen, bathroom and bedroom windows. The bathroom is tiled and has a sink unit and bathtub with shower, and there is a separate WC, handy for easing bathroom congestion when you’re in a hurry to get out on the slopes! The very large bedroom has been split in to two, to effectively provide two separate bedrooms, in total offering 5 beds. With the option of a sofa bed in the living room, and even bunk beds in the hallway, there is plenty of space for all your friends and family! The property is sold fully furnished, and also comes with a cave big enough for a couple of bikes or all your skis and boots. There is ample residents parking. 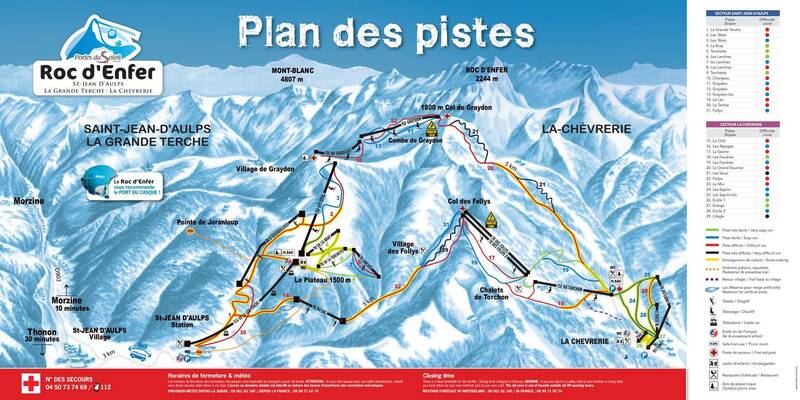 To hit the slopes, you can hop on your skis from the apartment, and a couple of hundred metres scoot off-piste will bring you to the main ski lift. 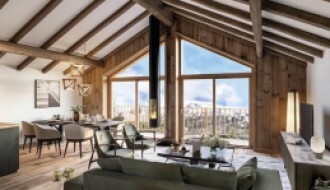 The amenities of the ski resort are also within easy walking distance – bars, restaurants, grocery shops and ski hire shops providing everything you need for your ski holiday. The resort is small and friendly, with a lively atmosphere and offers some really beautiful skiing around the majestic “Roc d’Enfer”. 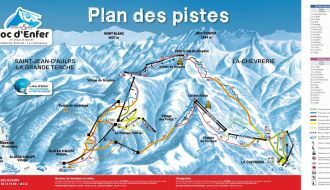 The bigger resort of Morzine is under 10 minutes away by car, and also accessible by ski bus, giving access to the full Portes du Soleil ski area. Geneva airport is around 75 minutes’ drive.